Home > Breweries > Tour de France brings Masham brewing families together – for the weekend! Tour de France brings Masham brewing families together – for the weekend! This summer’s Tour de France is bringing together two of Yorkshire’s best known brewing families in the spirit of “entente cordiale”. Masham’s T&R Theakston Ltd and Black Sheep Brewery are putting any rivalry firmly behind them as they help the market town celebrate its inclusion in the opening stage of the Grand Depart in style. To mark the occasion, the town is throwing a Le Grand Party as more than 20,000 Masham residents and visitors are expected to line the route – as well as watch the race on big screens – on the afternoon of Saturday, July 5. The celebrations will see a host of activities and entertainments being staged in and around Masham, including the breweries joining forces for the weekend to set up and stock three bars, selling beers from both dynasties. 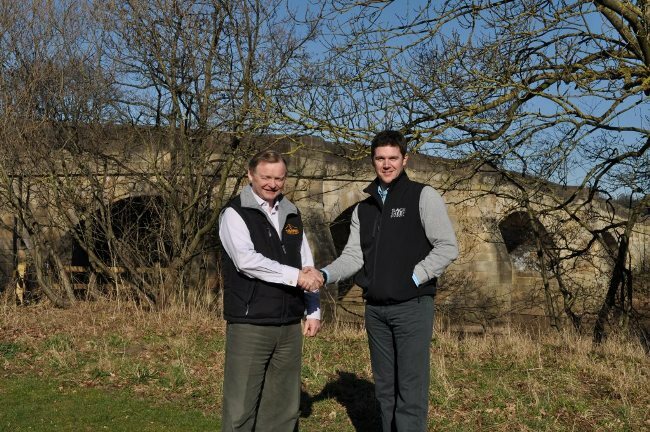 “The Tour de France is the most significant event ever for Masham and in order for the town to make the most of this historic, once-in-a-lifetime sporting spectacle, we are combining forces. “To coin a phrase from the French, this is very much a case of ‘entente cordiale’, and, in the spirit of co-operation, we will be working together to ensure Masham’s Le Grand Party is the party to end all parties. The main “Le Grand Bar”, will be located on the Avenue, a second in Low Burton Field and a third in Masham Market Square.